A Georgia college student traveling home for his slain close friend's funeral was killed in a car wreck, never making it to the service where he was to serve as a pallbearer. Malik Cooper, 20, was driving from Alabama to Atlanta when his car left the wet road and crashed into a tree on December 3, his mother told InsideEdition.com. "It was raining badly, the car slid and he was gone," Bridgett Grimes said. "He didn't suffer. But it's been painful and hurtful — we're grieving." Cooper was a talented athlete and a hard-working young man who wanted to start his own business, Grimes said. "He was a loving person, everybody loved him. He lit up a room," she said. "He was a real joker. He loved baseball, football... and he loved playing baseball. Whatever position you wanted Malik at, Malik was there. He was a go-getter." A second-year business student at Tuskegee University with an athletic scholarship, he planned to follow in his father's footsteps and start his own business. "He wanted to be his own boss, he wanted to be an entrepreneur," Grimes said. His sudden death left many reeling as they tried to make sense of such a promising life cut tragically short. "I'm so sorry to hear about your son. I remember how your face would light up every time you talked about him," one donor wrote to Cooper's parents on a GoFundMe page created to offset burial costs. "It is always tragic to lose a member of our university community but it is particularly difficult to lose one of our students — our very best and brightest — who had his entire life before him," Tuskegee University's President Brian Johnson said in a statement. "We send our deepest thoughts and prayers to his family, his friends and classmates during this extremely difficult time." Cooper was on his way home for the Monday funeral for Marquez Montgomery, 15, a close friend who had been fatally shot on November 28. 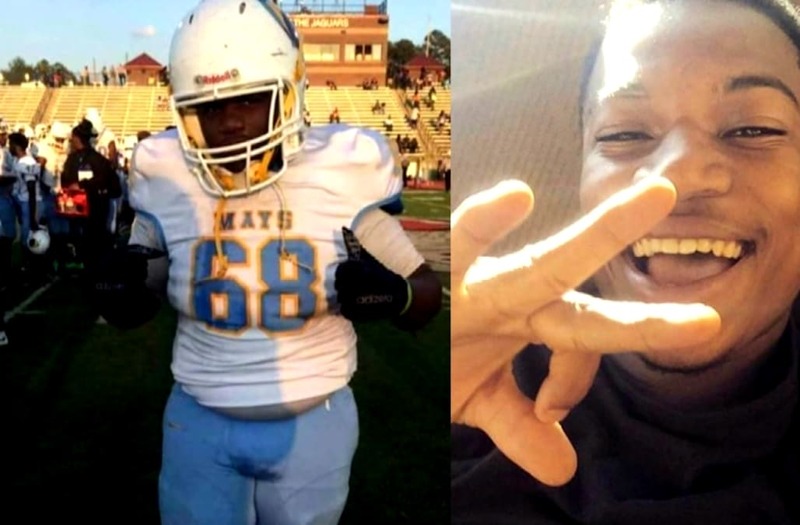 The Mays High School sophomore football player was reportedly FaceTiming with his girlfriend when his cousin, Dontavious Montgomery, allegedly shot him in the head without provocation, according to The Atlanta Journal-Constitution. "This is so tragic and such an senseless loss. I am so sorry to hear of this. Praying for the family!" a donor wrote on a GoFundMe page created for the teen's family. At the time of the killing, Dontavious Montgomery was out on $100,000 bond in connection with murder and aggravated assault charges stemming from a January 2015 incident. He has been charged with his cousin's murder and remains in Fulton County Jail, online records show. "They were like brothers," Grimes said of her son and Marquez, who despite the five-year age difference, was one of Cooper's closest friends. "He had said 'This is a rough pill to swallow.'" "Malik played little league ball with him... he'd spend the night over his house. He was going to be a pallbearer, but he never made it," she said. Cooper was determined to make it home to serve as a pallbearer in his friend's funeral, and before he got on the road, he called his mother to let her know he was on his way. "He called me on Sunday; I was getting ready for church. He said 'mommy I'm on my way to the house, don't lock me out,'" she said with a laugh. "He said 'all right then, bye momma.' I said, 'don't tell me bye; tell me you'll see me later.' He said, 'yo, okay mama, I'll see you later.' And then we were about to hang up and he said, 'wait a minute, don't hang up. I love you.'" The last conversation she had with her son gives Grimes solace, but she also hopes that others learn an important lesson from her son's story. "These kids — I want them to drop them cell phones, put on their seat belts and pay attention to the road," she said. "Malik, he was a good kid and he was loved by his family. If they don't do it for themselves, do it for Malik."